Including a mass transport system such as a monorail in the proposed Malta-Gozo tunnel has been ruled out by the head of the committee overseeing the implementation of the massive project. 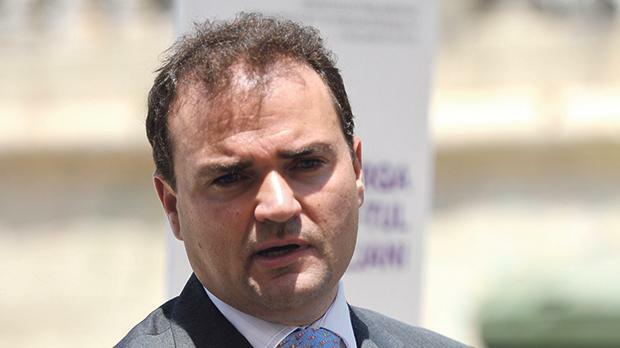 Former parliamentary secretary Franco Mercieca excluded the option when asked by the Times of Malta for his reaction to appeals made by the Gozo Tourism Association and the Association for Gozitan Employees in Malta. “The Labour manifesto was clear in this regard as the pledge was to build a permanent link only, with no reference to the monorail system,” Dr Mercieca said. “Plans on this project have been in the pipeline for five years and changing the entire concept at this stage to cater for a monorail system would mean having to start from scratch,” he added. He also pointed out that, to cater for this means of transport, the overall cost would soar by five to 10 times and result in significant delays to complete the project. A proposal for a permanent underground monorail link between the two islands, as part of a wider metro network, had been floated two years ago by the Nationalist Party during the election campaign. The idea was recently revived by the GTA through a resolution calling on the government to look to the issue of the connectivity between Malta and Gozo through a wider perspective by means of an underground network. The association’s CEO, Joe Muscat, was yesterday quoted by The Malta Independent as saying that having a tunnel exclusively for cars would solve the 20-minute crossing but cause bottlenecks at both exits. The Association for Gozitan Employees in Malta yesterday expressed disappointment at the fact that it had not been actively consulted. It also raised concern that the project excluded a mass rapid transit system, which, it noted, “would better suit the needs of the whole country”. A metro system linking strategic points like Valletta, the University and Mater Dei Hospital would better address the daily commuting needs of Gozitan workers, it said. Such form of transport, it continued, would be more environmentally friendly because it would ease traffic emissions. Dr Mercieca disputed this, saying that even a monorail could pose certain environmental problems such as the impact on areas where it would be above ground. He declined to say how much the tunnel project was expected to cost, adding this would be announced “soon”, when the final conceptual design would be in hand. Dr Mercieca said the project would be financed by the private sector, in return for recouping the investment through a concession to operate the tunnel for a number of years. As for the cost for commuters, he noted the government would be doing its utmost to ensure tolls would be affordable, partly through incentives like discounts for frequent travellers.